Made In The Shade Blog: 100!, Future Link up, And Five on Friday #2! 100!, Future Link up, And Five on Friday #2! It's Friday again! For most, that means the weekend. My "week" is just starting - it's my weekend to work, boo! But, I do have some pretty fabulous things for my second Five on Friday post! #1 - One hundred! This week, I reached 100 followers! I know that may seem measly to some, but I never imagined when I started this that I would have anyone even interested in what I had to say! I am so thankful for all you pretty girls who read my blog! To celebrate, I am going to host my first ever link up on next Tuesday, Novemeber 26th! To link up, just post one of your favorite blog posts from the week before! It can be about anything - a DIY, recipe, fashion post, etc! I'll ask you to grab my button as well - I can't believe I was tech savy enough to even make one. Then, for the link up the following Tuesday, I will pick one or a few favorite posts, and feature your blog on mine! Nothing like free blog advertisement, right? Keep November 26th in your minds! 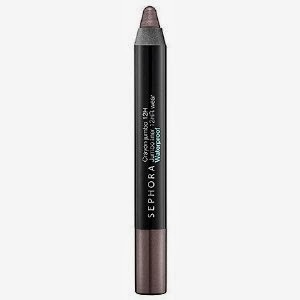 #2 - Sephora's jumbo water proof eyeliner in "dark taupe shimmer". I bought this on a whim, and I absolutely love it! It stays on all day long, and is the perfect color! It goes on very smooth, and has just the right amount of shimmer. Its $10 at Sephora. #3 - I wrapped gifts this week, and tonight I found my pup had eaten a gift bag, packing tape, and was working on this roll of Christmas ribbon. Seriously, can I not turn my back for two minutes?! I feel like I am watching a 2 yr old human, not a dog! #4 - Uh, have you been in this store? You can find such great bargains! You do have to pick through some junk - I feel like this is normal for most bargain places. I have found so many holiday decorations here that look so similar to those at Hobby Lobby, for less than half the cost! If you haven't been, I think you should! #5 - I spent several hours this evening starting on a scrap book for one of my mother in laws Christmas presents. Scrapping is one of my favorite hobbies; well, besides blogging :) . It totally relaxes me, and lets face it, I can catch up on all my shows simultaneously! Have a happy weekend everyone, and don't forget about the Favorite Post link up on November 26th! Congrats on 100 followers! Woo! Congrats on the followers!! My dog would be doing the same thing. She's crazy about paper! They're worse than children! I wish we had a Christmas Tree Shop near me! It's sound so cool! Have a great working weekend. They are like children! It makes me wonder how bad it will be when we actually have kids! Congrats, very exciting (I need to follow, I am terrible at clicking follow!)! I am always looking for eye liners that stay put all day, so I will have to try that sephora one, thanks! You definitely should! It's my fav eye liner right now! And pretty affordable! That sounds like a fun link-up, I love seeing what blogs other girls are loving! I keep hearing about that store in the blogging world but I had never heard of it before! It sounds like it has a bit of everything! I used to love scrapbooking but haven't done it in a few years! Seeing your post makes me want to start up again! I started one for my husbands birthday a few years ago and definitely have a lot of catching up to do! You should start up again! Its so great! And I love link ups too - hopefully its a success! I used to loveee scrapbooking, I definitely need to get back into it! Ps- your lettering looked perfect in that photo, so jealous! Thank you! 500 would be amazing!!! Haha I would love to take credit for the lettering, but it was a stencil that I traced :) My hand is way to shaky to draw that alone! You'll get there! I always enjoy your comments so much! I comment on a lot of other blogs and follow a lot of others. I also participate in a ton of link ups! I highly recommend the link ups! Thank you! I always love yours too! Yay for 100 readers!! That seems like tonnn to me! I am not suprised at all girl tho you are so friendly and I just love reading your blog!! You go girl! I will for sure be there for the link-up!! 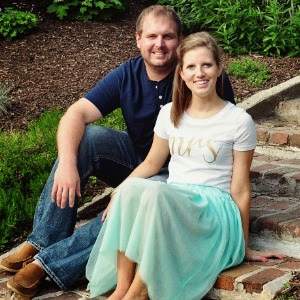 I love reading your blog too, and I love the name of yours! Yay, excited to see what you link up! 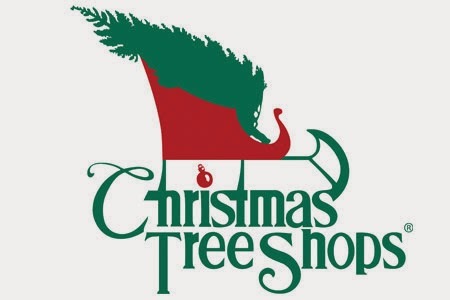 Haha I am literally about to go look and see if we have ChristmasTreeShops close to where I live. That sounds amazing! Yes you should - they are awesome! Thanks for following! I always love reading your blog! Congrats on 100! I'm excited about your link up! I need to figure out how to do one as well. And I adore Christmas Tree Shops. Every time I go home I head to our local one since I can't seem to find on in Kentucky! Yay! I am excited to see what you post! I always love reading your blog! The Christmas tree shops can be hard to find - boo! Congrats on your 100 followers. I always look forward to reading your posts each day, you have a very creative mind! I always look forward to yours too! Thanks for the well wishes! Congrats on 100 followers! That is exciting. Can't wait for the link up. Oh, and my pups are really good at destroying everything too. Christmas is a ... difficult time in our house with the tree and presents. They just can't stay out of trouble! Thank you! I can't wait to see what you post! Haha, the "difficult time" part made me laugh! Silly pups! I will check out your blog too! thanks for stopping by! Scrapbooking is soothing and calming for sure! I totally know how you feel about your pup, mine is always getting into trouble! That eyeliner looks great, I love the color. They are almost like little kids! Too funny! I LOVE that eyeliner. Seriously. Sephora is the best. Cutest blog!! Thank you! Isn't that liner great! It stays on all day long! It's such a relaxing hobby - and the possibilities are endless! Haha thanks! Your post made me smile! I'll check out your blog! congrats! more power to your blog! keep it up! I love scrapbooking! I am very far behind, but when I have time I love it! i have a similar eyeliner from sephora. it's about the only one i ever use since it's so easy and mess free.